Can India create 81 lakh jobs annually to maintain employment rate? Job creation has been one of the biggest headaches for the prime minister Narendra Modi-led government and the recent guidance from the World Bank could further aggravate worry on this count. India must create 81 lakh jobs a year to maintain its employment rate, said a World Bank report which projected the country's growth to accelerate to 7.3 percent in the current financial year. India's economy has recovered from the withdrawal of large denomination bank notes and the Goods and Services Tax that replaced a jumble of tariffs and levies imposed by the centre and states, the Washington, U.S.-based bank said. "The country should strive to accelerate investments and exports to take advantage of the recovery in global growth," the World Bank said in its twice-a-year South Asia Economic Focus titled 'Jobless Growth?'. "Every month, the work force increases by 1.3 million people and India must create 8.1 million jobs a year to maintain its employment rate, which has been declining based on employment data analyzed from 2005 to 2015, largely due to women leaving the job market". Forget job growth, employment in India shrank by 0.1 percent in the financial year 2015-16 and by 0.2 percent in 2014-15, according to KLEMS India. The database is part of a research project, supported by the Reserve Bank of India, to analyze productivity performance in the Indian economy and support research in the area of economic growth. Despite the government's professed emphasis on job creation, the country's unemployment rate has seen an uptick since the ruling Bharatiya Janata Party began its term in May 2014. 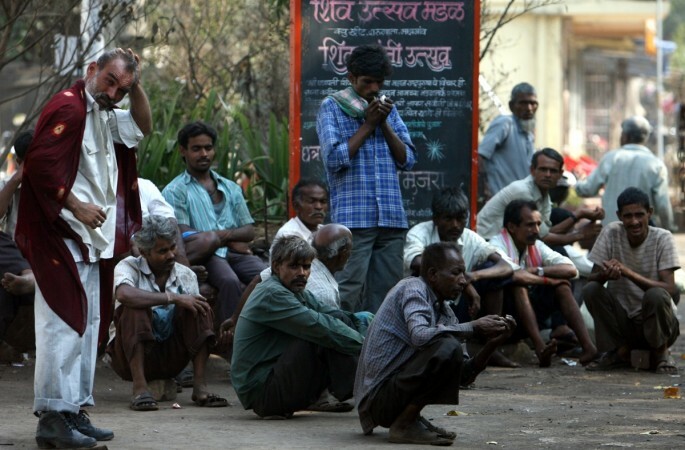 India could witness a higher unemployment rate of 3.5 percent in 2018, a little more than the 3.4 percent projected earlier, the International Labour Organisation (ILO) said in its January report. The ILO expects the number of jobless in the country to increase to 18.6 million in 2018 and 18.9 million in 2019, against 18.3 million in 2017.